There is some great research going on in our freshwaters around the country. We would like to share some of this with you and invite you to attend this free public event, timed to coincide with the 50thanniversary conference of the New Zealand Freshwater Science Society being hosted in Nelson. The seminar will include presentations by three emerging freshwater scientists and be chaired by Emeritus Professor Carolyn Burns (University of Otago). We hope you can join us! What is happening to our lakes? How have they changed? What were they like before humans arrived? These questions are currently difficult to answer for the vast majority of New Zealand lakes - compared to rivers, very few lakes are studied and even fewer are routinely monitored. Lakes380 is an ambitious new project aiming to tell the story of our lake taonga, using layers of sediment deposited on lake beds over thousands of years to reconstruct their environmental histories. We hope to define contemporary and historic water quality, drivers of change and overall lake health using a combination of leading-edge sediment core analysis and eDNA analysis. In this talk, I will share some of the exciting field work we have done so far in some of New Zealand’s most stunning and little-known lakes, as well as discuss some initial findings from my recent work on cores from Lake Paringa, a tectonically impacted lake near Haast. 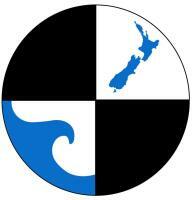 Katie Brasell is a PhD candidate with the University of Auckland, based at the Cawthron Institute in Nelson. She is a small town/country girl that likes to dream big and find ways to effectively utilise rapidly improving technology to help our communities better monitor and care for freshwater environments. 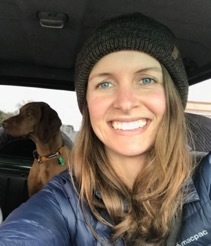 Katie has studied toxin-producing freshwater cyanobacteria in the Hutt River and worked for both central and local government, monitoring and advising on a range of freshwater topics. Plastic waste makes up a large proportion of the debris collected on New Zealand beaches, with single-use plastics such as food wrappers and plastic bags being the largest culprits. Most of the plastic in the ocean originates on land, being carried to the estuaries and coasts by rivers. Managing this plastic on land or as it reaches the river could be the key to stemming the tide of marine-bound plastics. To do this, however, we need to answer some initial questions: Where does all the plastic come from? And how much and what types of plastics are carried by rivers? In this talk, I will discuss new methods for estimating plastic inputs to the sea. I will also demonstrate the potential for the co-creation of monitoring strategies with communities to allow for greater education, social change, and research outcomes for managing plastic waste. 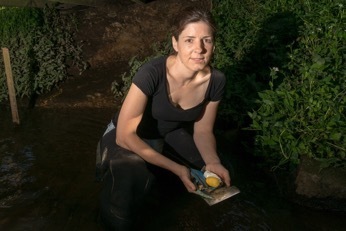 Dr Amanda Valois is a freshwater ecologist at the National Institute of Water and Atmospheric Research – NIWA. She is a believer in open science – making scientific tools, research and data accessible to everyone. She works with community members who are interested in stream restoration and monitoring stream health. Amanda has a particular interest in rubbish monitoring and how we can work together to find solutions to reducing waste and our impact on ecosystems. Otoliths (fish ear bones) are made of calcium carbonate and form throughout a fish’s entire life. Otoliths are often considered as diaries because daily, seasonal and annual information about an individual fish is recorded in these bones. In this talk, I will reveal the secrets of New Zealand’s migratory freshwater fish that can be derived from reading these diaries. I will focus on what can be learnt about the mysterious marine larval life phase of longfin and shortfin eels. 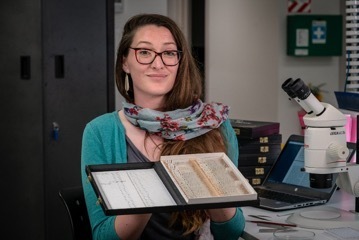 I will demonstrate how these diaries provide a library of information that can be used for freshwater fish conservation and management in New Zealand. Dr Eimear Egan is a Postdoctoral researcher with the National Institute of Water and Atmosphere – NIWA. She researches New Zealand’s migratory freshwater fish (i.e. whitebait and eels) and applies novel tools and statistical methods to better understand their entire life history. She uses their ear bones to investigate large-scale movements in the marine environment and the effects of climate change on populations.